It’s going to get crazy. Watch The Magicians TV show stars tease their characters journeys in the second season of the Syfy series. 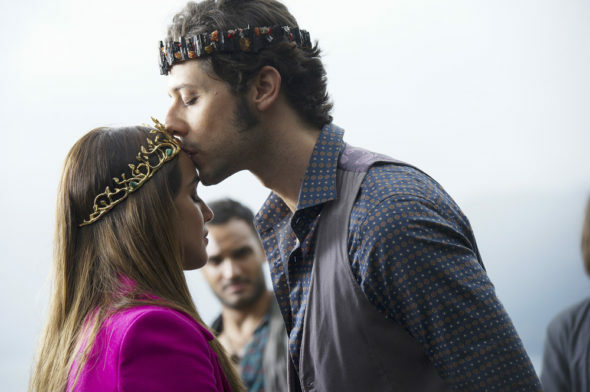 The Magicians, season two, premieres on Syfy Wednesday, January 25 at 9:00pm ET/PT. 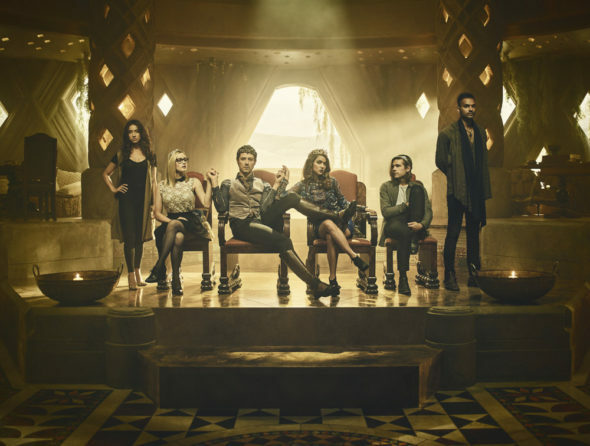 Season two stars Jason Ralph, Stella Maeve, Olivia Taylor Dudley, Hale Appleman, Arjun Gupta, and Summer Bishil. In addition, Rick Worthy and Jade Tailor are returning as season two series regulars. Don’t miss The Magicians season two teaser, after the jump. The Magicians centers on Quentin Coldwater and his 20-something friends. Together, they discover their magical abilities and use their skills to fight off evil entities and save magic. In the season one cliffhanger, Quentin’s childhood pal Julia betrayed her friends and made a dangerous deal with The Beast. Her actions left the fate of Alice, Eliot, Margo and Penny hanging in the balance. Still, they have survived — for now. In The Magicians season two, these novices are immersed in the enchanted world of Fillory. They find themselves thrust into an even more perilous, dark and twisted journey. 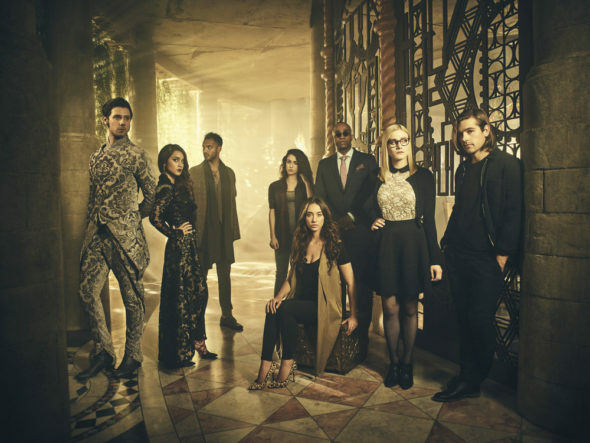 The Magicians is based on Lev Grossman’s fantasy trilogy. In its first season, it averaged a 0.29 rating in the 18-49 year old viewer demographic and about 780,000 viewers. When sorting 2015-16 TV shows by the demo, The Magicians was Syfy’s best rated show. It landed in second place in terms of audience size. If the series maintains those ratings this year, Syfy will likely renew The Magicians for season three. What do you think? Have you read the books? Did you watch the first season of The Magicians TV series? Do you plan to check out the second season on Syfy? Tell us.